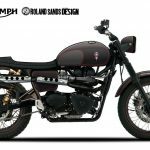 The Roland Sands Design 2018 Super Hooligan National Championship kicked off this past weekend in Salem, Oregon, in conjunction with the One Moto Show. 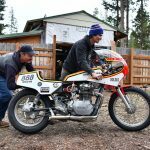 The championship is ever-growing in popularity and brings fun and affordable flat track racing to the the masses, there’s even a host of new sponsorship partners that are offering contingency incentives to the racers. The next Super Hooligan showdown will be held April 14 in Perris, California, at the Hippy Killer Hoedown. 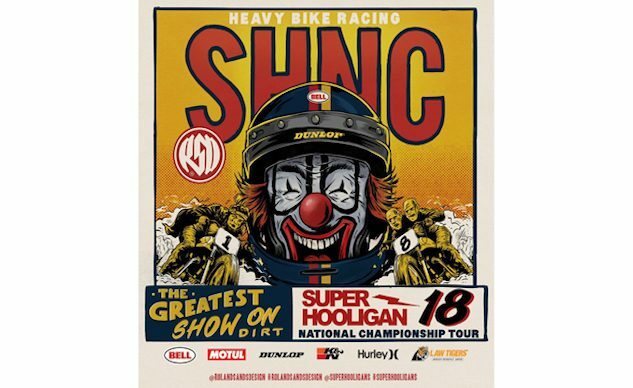 February 9, 2018 – Roland Sands Design and Indian Motorcycle are proud to bring America the “Greatest Show on Dirt”, with the 2018 Super Hooligan National Championship (SHNC). We’ve included legendary tracks like Salem Speedway, the Buffalo Chip TT, Sacramento Mile short rack and Costa Mesa Speedway. Contrasting the legends are new venues paired with a host of entertainment at X Games in Minneapolis, Pier 32 asphalt oval Hooligan Gymkhana in San Francisco bay and a fire road TT at China Peak. We’ve also paired up a flat track race to accompany a professional surf competition in the middle of California as well as longtime favorites Dirt Quake and Hippy Killer Hoedown on a brand new, permanent short track. Finish it off with the final championship round at Moto Beach Classic in Surf City, Huntington Beach, California and you’ve got more good times than you can shake a ratchet at. 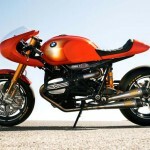 We suppose you could call it a motorcycle circus, but we like to think of it as a party where a race broke out. 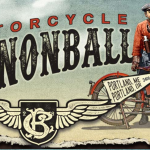 Indian Motorcycle, Dunlop Tires, Bell Helmets, MOTUL, K&N Filters, Hurley and Law Tigers.